The right mattress can mean the difference between poor sleep and restful slumber, but it's easy to get confused in a sea of soft choices. If you can't decide between a plush or pillowtop option, consider a few differences. One mattress may be better for you -- and your back -- than the other, depending on factors including your body size and sleep style. A bed with thin padded pillowtops on both sides of the mattress. "Plush" and "pillowtop" describe two types of mattress padding used to cushion various foundations -- the latter being a couple to several inches thicker than the former. Thick pillowtop mattresses have just one sleep side, while plush and thinly padded pillowtop mattresses can be single- or double-sided. A light- or average-weight person who sleeps on his side or back may prefer just a little softness, and choose a plush mattress with only 1 to 4 inches of padding. The larger the person, the more compressed the padding can become -- in this case, a thick pillowtop can provide needed cushioning between body and coils. 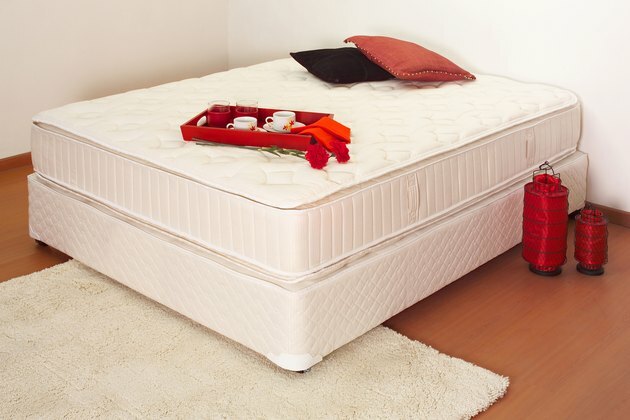 What Is a Euro-Top Mattress?